Monalisa aka Antara Biswas is one of the dedicated actors who is not afraid of dangerous stunts. Since the Bhojpuri actor has stepped in daayan’s shoes for Star Plus’s super natural show Nazar, the makers have given Monalisa tough stunts to perform for the character. She has never failed to surprise the viewers with her never-seen-before avatar. Monalisa has been in the news for since a long time. For a few weeks, she was not seen on-screen because of her role, but now, the daayan is back with a new story. 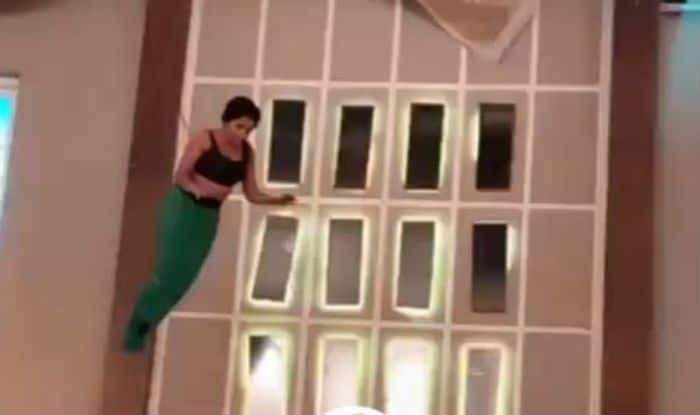 She is now a mermaid on Nazar show. Monalisa is extremely working hard and is constantly seen surprising her fans and audiences through her performance. A new video of her is going viral where she is performing aerial stunts as a mermaid. The actor herself shared it on Instagram story. The supernatural show, Nazar is keeping its audiences glued through interesting twists and it is doing pretty well in terms of TRPs. After creating her niche in the Bhojpuri cinema, the actress took part in the television reality show Bigg Boss. On the show, she tied the knot with her longtime boyfriend Vikrant Singh Rajpoot.